There weren't any medals on the line in men's hockey at the Winter Olympics on Saturday, but thanks to the National Hockey League Players' Association (NHLPA) Goals & Dreams program and the Players, the day was as good as gold for 150 kids. It was a true team effort and an ideal way for NHLPA members to share their Olympic experience. The NHLPA's Goals & Dreams program donated 150 tickets for the men's Olympic hockey games on Saturday, February 20, divided equally between three Vancouver-based charitable organizations (HEROS, Boys & Girls Club and KidSport BC). For those competing in the Games, it was a perfect chance to give young fans an up close and personal view of the sport. As part of the NHLPA Goals & Dreams program's 10th anniversary celebration, the players joined together to donate Olympic hockey tickets so that children could enjoy the opportunity to see their favourite players in action during the Olympic Games. The charitable organizations were chosen based on their ongoing commitment to helping children, and their strong relationship with NHLPA Goals & Dreams over the last number of years. The children from HEROS attended the Latvia/ Slovakia game, while the children from the Boys & Girls Club watched Norway versus Switzerland. Children from KidSport BC saw Germany versus Belarus. But even those who weren't playing, namely local fan favourites Alexandre Burrows and Kevin Bieksa, got into the spirit of the day, showing up for the noontime game, with Burrows coming back for the evening match. Both players did Hockey Canada Place video interviews at the arena during the second intermission, conducted by former NHLPA member Marc Denis where they discussed the donation and the Goals & Dreams program. HEROS founder, Norm Flynn and Carolyn Tuckwell, President and CEO, Boys & Girls Clubs of Greater Vancouver were grateful for the experience. “The Olympics is a once in a lifetime event and our children had a chance to experience it thanks to the NHLPA," said Flynn. 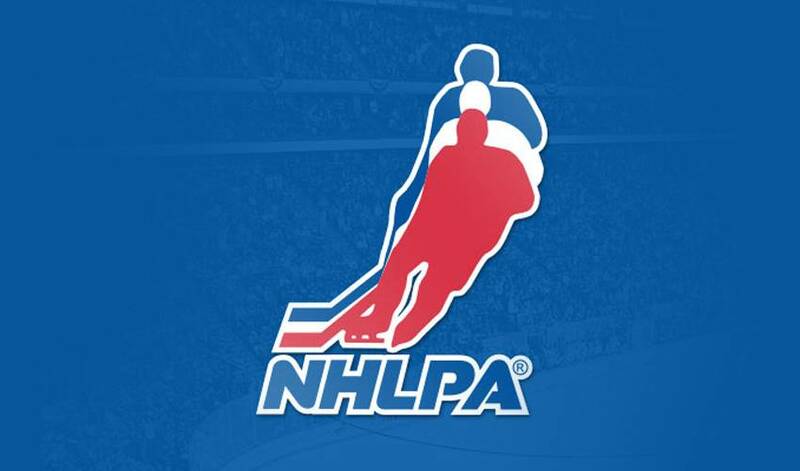 In 1999, the National Hockey League Players' Association launched the NHLPA Goals & Dreams fund as a way for the players to give something back to the game they love. Over the past 10 years, more than 350 former and current NHLPA members have been personally involved in helping facilitate NHLPA Goals & Dreams donations in either their hometown or their NHL playing cities. The NHLPA Goals & Dreams fund is funded solely by the members of the NHLPA and is the largest grassroots hockey program in the world. Since November 1999, the players' program has donated more than $18 million to grassroots hockey programs in 22 different countries. More than 40,000 children have benefited from the hockey equipment donations through NHLPA Goals & Dreams.